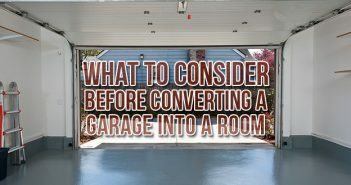 When it comes to remodeling on a budget, the name of the game is buying used; or you can stick to the Duggar philosophy of buying used and saving the difference (yes, I’m a fan of 19 Kids and Counting). You can find great used kitchen appliances at stores like Goodwill and Salvation Army. 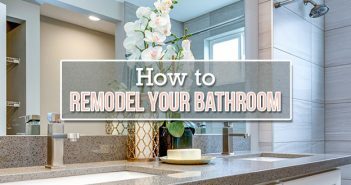 For the purposes of this blog post, I will explain how you can complete an entire cheap kitchen remodel. The most difficult items to find used or on sale will be the major appliances such as refrigerators, stoves, sinks, and microwaves. Things such as chairs, decorations, and glassware should be easier to find at garage sales and donation-like stores. One great place to find cabinets and countertops is at Habitat for Humanity’s ReStores. Before you can go out and start with your kitchen remodel, you’ll first need to remove all the old things in your kitchen you’ll no longer need. I suggest removing the cabinet doors and handles first because this is probably going to be the easiest part. If you are planning to toss them out, it may help to rent a dumpster for all of your unwanted materials. Once you have the cabinets removed, the next logical step would be to remove the countertops. According to our market research, copper countertops are a new and upcoming trend. It’s time to toss those old tile countertops and replace with either copper, granite, or some other type of stone. You should be able to find cheap and in-style countertops at a ReStore near you. Now that all of your countertops and cabinets are removed, the time has come to remove your appliances. You may need professional help removing your refrigerator and stove due to the electrical wiring, as well as their hernia-inducing heaviness. I find it best to really envision your kitchen remodel once you have everything out of it that you intend to replace. Here comes the fun part, shopping! I suggest shopping for your larger appliances first because these will be the most expensive items in your kitchen remodel. When looking for a refrigerator, stove, microwave, or sink, it may help to check out your local second hand store or even the Restore. You should be able to get these items for a combined total of under $2,000 if you play your cards right. The next part of your kitchen remodel I would recommend working on would be your cabinets and countertops. The newest trend in countertops is to have copper plated countertops, but if you are trying to stick to a budget, you will need to forgo the copper and search for used but undamaged countertops. In an ideal world, your cabinets would match the countertops but if you are seriously trying to stick to a tight budget, you should at least go for countertops and cabinets with the same color palette. Decorations and all that other jazz should be the last part of your kitchen remodel. I save this part for last because it’s my favorite and therefore, usually the easiest. It is important to pick a theme and do your best to stick to it. Let’s say your theme is Italian, I would suggest using the colors red, green, and white. Look for Italian themed kitchen towels, paintings, dishes, and silverware holders. I hope these tips will help you complete a cheap and easy kitchen remodel. Remember to always be on the lookout for great deals and when specific items such as large appliances go on sale. 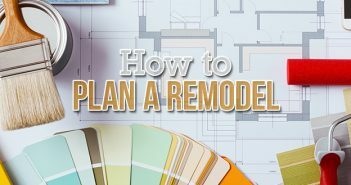 Do you have any other tips for an inexpensive kitchen remodel? If so, leave us a comment in the section below. We always love to hear from our readers. Thanks for reading!